Starting today, mobile phone savvy Rockman fans in Japan can get equipped with an all new Servbot centric mini-game entitled "Punish Kobun." It's a fairly basic game: players control a Servbot as they attempt to avoid a barrage of falling weights while running along a conveyor belt. Move too slow and you'll either end up squashed or pierced by spikes! Once your life depletes to zero, it's game over. Punish Kobun will run you a cheap 315 Yen (or roughly $3.74 US) and is only available through phones subscribed to SoftBank, Au or Docomo providers. 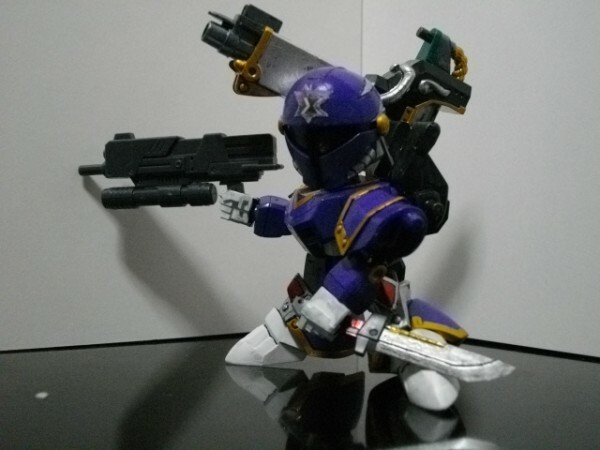 If you happen to have the means of obtaining the game, we'd love to see some footage of this one in action. Update: Apparently, this is actually a remake/re-release of a title from 2002 of the same name. 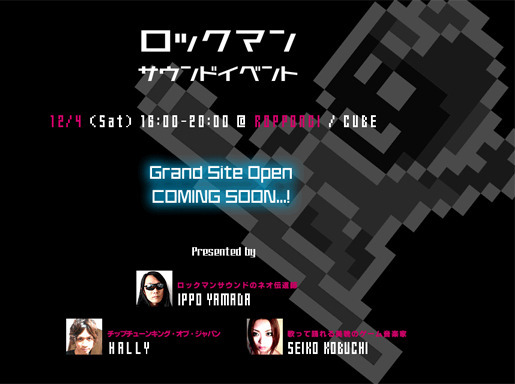 On December 4, Capcom plans to hold a Rockman Sound Event Roppongi T-Cube Hall, Tokyo. Few details exist at the moment, but according to the event's teaser site, Ippo Yamada, Hally and Seiko Kobuchi will be in attendance, performing before a live audience. 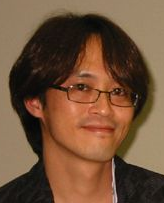 Ippo Yamada is the lead sound producer at IntiCreates, and a veteran musician of many Rockman titles. Hally is a popular chiptune artist in Japan who recently pioneered the development of the Chiptuned Rockman soundtrack, while Seiko Kobuchi previously contributed to the music of various Rockman/X games. Other special guest appearances are expected as well, and perhaps the event will even play host to the unveiling of a new Rockman soundtrack; speculation, of course. More details are expected to surface on the event's official website. "Please try not to freak out! Legends 3 is not canceled. There were already producers and directors working on the title and they will continue to work on the game as planned. Same goes for the Street Fighter franchise. There are entire teams that actually create the Mega Man games. Capcom has been working hard on restructuring its operations over the past few years in order to build a development organization that is not dependent on any single individual. While Inafune will be missed, we can’t ignore the fact that there are teams and producers working on these Mega Man games already." The staff behind the likes of Mega Man Universe and Mega Man Legends 3 seem like a promising bunch so despite Inafune's absence, I'm sure those titles and the franchise as a whole are in good, passionate hands. Indeed, it is sad to hear Inafune wont see MML3 to completion, but take to heart that he got to see it green-lit and will now be able to enjoy the game as a player -- one of us. All we can do at this point is continue to wish Inafune well, and support the individuals who will carry on the franchise from here. Kotaku reports the father of Mega Man has announced on his official blog that, after 23 years with the company, has quit Capcom affective at the end of the month. "A manager's work means evaluating your subordinates and speaking your dreams," Inafune writes. "There's nowhere higher for me to go. I'm leaving Capcom with the intention of starting my life over." The message ends with a simple "thank you" and a reassurance that he'll do his best. Inafune wasn't clear what he'll do now, unfortunately. The red flags of his resignation were evident as early as late September. 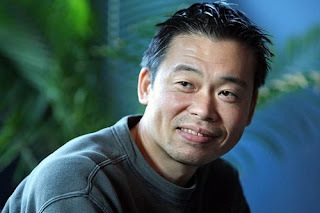 In an interview with Excite, Inafune expressed his disgusts in his work at Capcom, and even earlier he's shown an increasing distaste and bitterness towards the Japanese game industry. As such, his leave may not be all too surprising to some, but for me, at least, this comes as a shocker. Full story at Kotaku. Thanks to everyone who sent this in! UPDATE: Come November 1st, Jun Takeuchi will take over Inafune's position as corporate officer, as well as deputy head of consumer games and R&D Division, and general manager of R&D production. 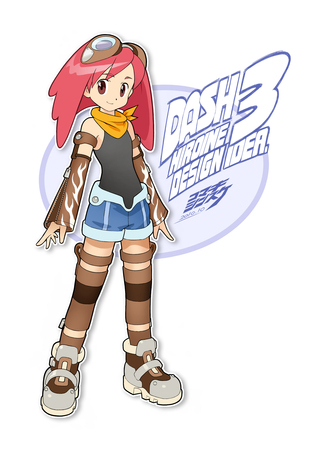 Komaki's design won with a total of 6,202 votes, a combined total from both the English and Japanese polls. 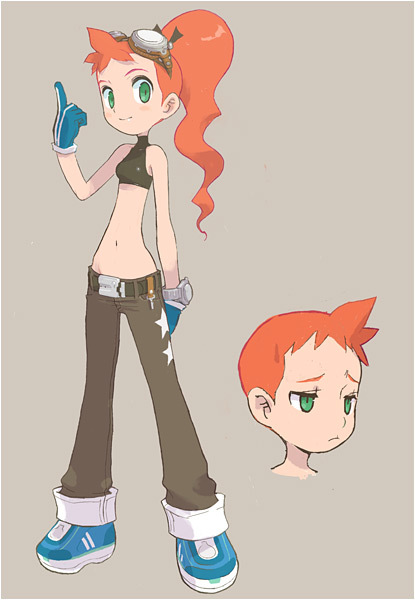 Komaki's design will make it into Mega Man Legends 3 where the character will play the role of a new heroine by the (tentative) name of Lilly. Komaki, pleased with winning, kindly requested the team to "Dash-ify" his design; in other words, spruce it up to make it better fit in with the world of DASH/MML. 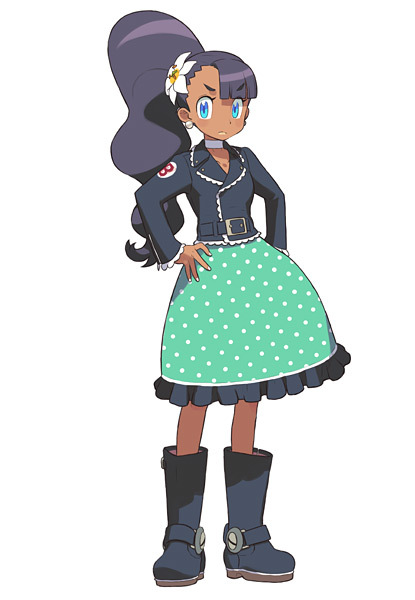 Details on Lilly's specific role in the game are scarce, however, some initial, albeit scant details on her character were revealed on the dev room a short while back. You can read up on that here. Remember that insanely awesome Mega Man costume Kevin made for his son a couple years ago? 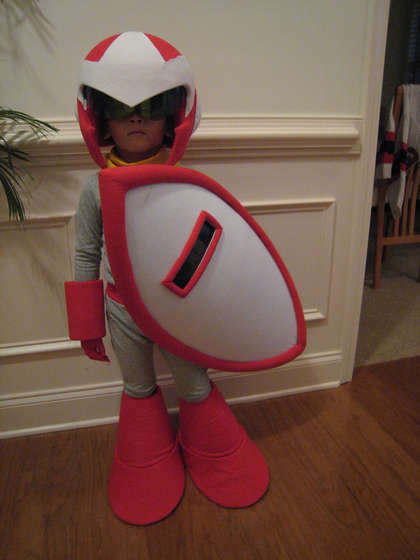 Well, the greatest dad in the world is back and this time he's whipped up a handy guide on how to build a Proto Man costume for the youngsters: shield, shades, buster gun -- the works. Instructables has the complete step-by-step guide on how to build the costume for yourself, with some nice images of each step included. Hit the link and check it out! Fair word of warning: this costume is not for the faint of heart. It requires a lot of materials, time and the utmost devotion. Nevertheless, if you're not up to the challenge, there's nothing stopping you from admiring a few pictures of the completed suit. 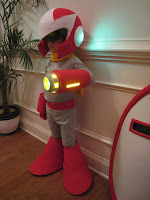 Should you have the patience to complete the costume in time for trick-or-treating, feel free to send in a photo or two! We'd love to see how it turned out! 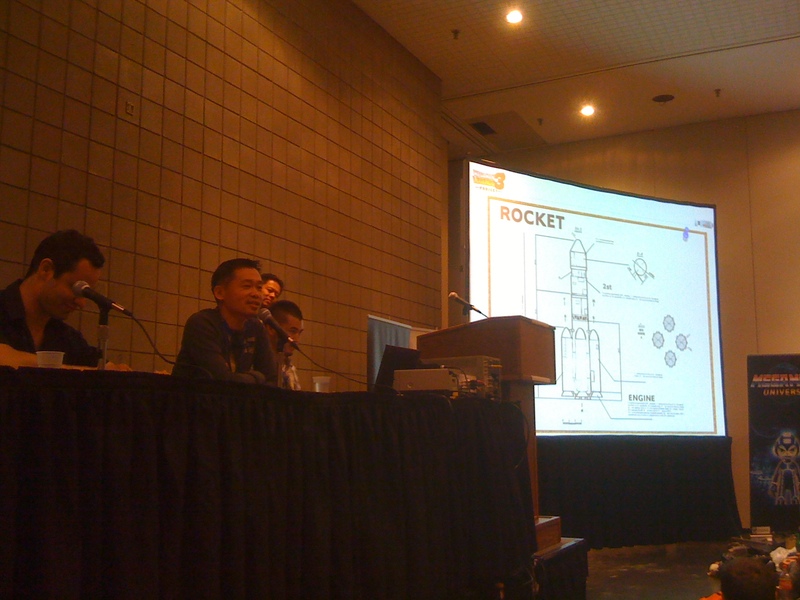 "In mid-November we will open up the "Dev Room" that we announced at the New York Comic Con. This will allow you, the co-developers interact with the team and each other uploading images, exchanging ideas on the message boards (topical / general discussion), etc. We want to share information with you, and you to share information with us, because we believe that by communicating closely with you is how we'll best be able to make the Legends 3 that you want! ...So in the spirit of the project, today there are a few things I'd like to ask you. 1) Legends fans, what is it that you liked most about Legends? And how would you like to participate in the development of Legends 3 going forward? You may have already submitted similar comments earlier, but please let us hear them again for the record. 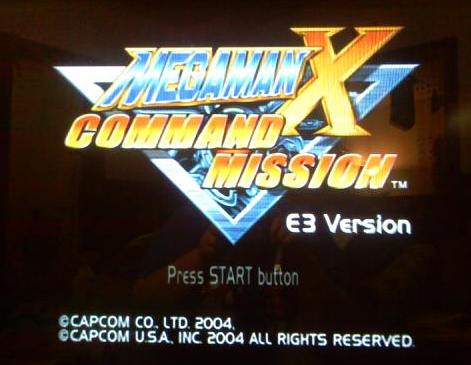 2) Those of you who have never played Mega Man Legends, what exactly was it that brought you here? And what expectations do you have of the Legends 3 project? Please let us hear from you even if what you say isn't exactly an answer to these questions. Please leave your comments in this forum thread. When leaving a comment, please indicate which group you belong to (1) or (2). Capcom notes group two is fairly underrepresented, so if you definitely fit in the category, please speak your mind. 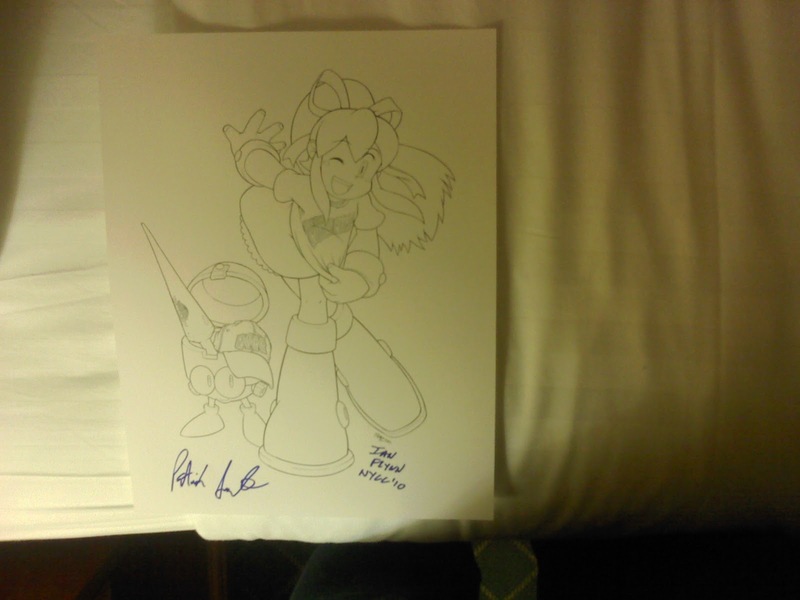 Fan interaction is key to the development of Mega Man Legends 3. Despite the "dev room" not officially opening up until mid-November, your input is still very important. Drop your comments in this thread! Bit of a quiet weekend so here's a couple small Mega Man-related MvC3 news bites, for those interested..
Producer Ryota Niitsuma has been tweeting all kinds of MvC3 info this weekend. Though much of the tweets center on character deconfirmations, Niitsuma had a few brief words about Mega Man series reps, going on to say "Mega Man fans have to wait a little longer" before the next character unveiling. He didn't say much more than that, unfortunately -- but hey, further reassurance that Tron won't be the only MM representative. Who could it be? Niitsuma continues to be as tight lipped as ever, but the general consensus from the fanbase is it will be either or classic Mega Man/Zero. We'll just have to wait and see. Speaking of Tron, the feisty pirate's MvC3 theme song, a new arrangement of "Flutter vs. 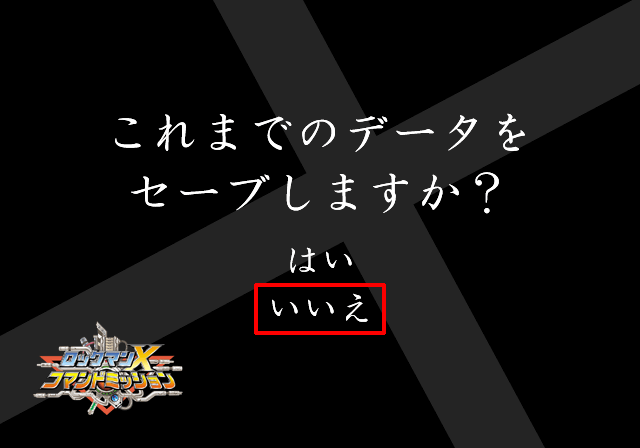 The Gesellschaft", has hit the web courtesy of the game's official Japanese website. Event Hubs are currently hosting the song over at their page, so hit them up for the download links. Thanks for the tips, Jesús! 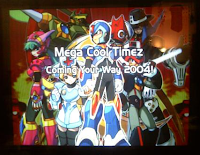 "With the 3DS for Mega Man Legends 3, one of the things you'll find about new hardware are early adopters tend to be more core. They're passions and informed about things. Anytime there's a new piece of hardware, there's an opportunity to either establish new IP or reboot IP that maybe should have done better last time around. That was really more of the strategy with the 3DS, to reach a new early adopter audience. We won't be there at launch with the game, but there are some interesting things that we're doing that will hopefully be perceived as visionary and really fan embracive." It all comes down to economics, it seems. For Mega Man Legends 3 to sell efficiently, Capcom is hoping to reach out to early system adopters by releasing the game on a new platform fairly early into its lifespan, though not at system's launch. The way I see it, if Capcom can get MML3 out the door shortly after the launch of the 3DS, then the game will have a much better chance of selling simply because of a lack of competition. Summed up nicely by Unity member Deva-Princess, "this means that customers looking for quality games will have less options to choose from and are more likely to pick up Legends 3, improving it sales, getting the series more potential fans, and improving the chances of a possible Legends 4 or Legends-like MM game." What do you think? Agree with this strategy or do you have a rebuttal? Feel free to sound off in the comments. 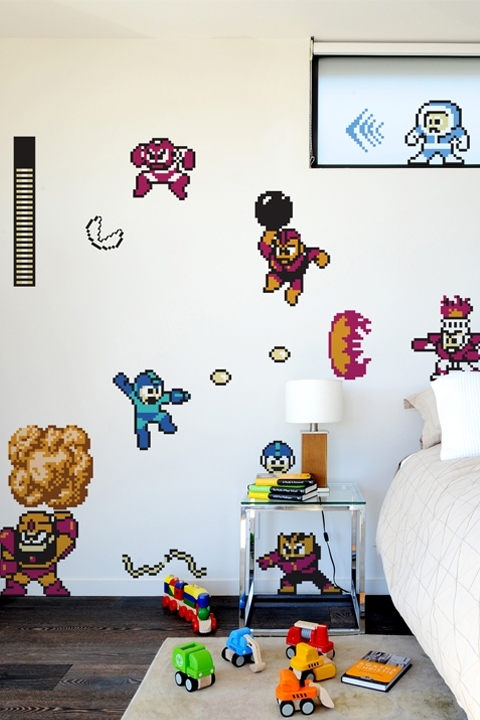 Want your home office or bedroom to have a Mega Man inspired backdrop? Blik, makers of high quality wall decals, have partnered with Capcom to bring retro adhesive fun with a slew of officially licensed Mega Man decorative stickers. The decal set, now on sale directly through Blik, consists of twenty five pieces which include 8-bit renditions of Mega Man, the MM1 Robot Masters, a variety of "effects" (explosions, projectiles) and even a full blown health bar. At $50, the set certainly isn't on the cheap side, but there is a little compensation: the first ten customers will recieve a Mega Man 10 Xbox 360 download code for free, courtesy of Capcom and Blik. Not too bad of a deal and, best of all, the decals literally went on sale an hour ago so there's a good chance the codes are still up for grabs. Just a friendly heads up: the first community-wide Legends 3 event, the heroine contest, is coming to an end on October 25. That's roughly five days left to place your vote in you haven't done so already. Time flies, so cast those votes ASAP via the Legends 3 Devroom. Capcom will be announcing the winning design on October 29th -- the winner will go on to star in Mega Man Legends 3, assuming the role of "Lilly." So, who's "winning"? 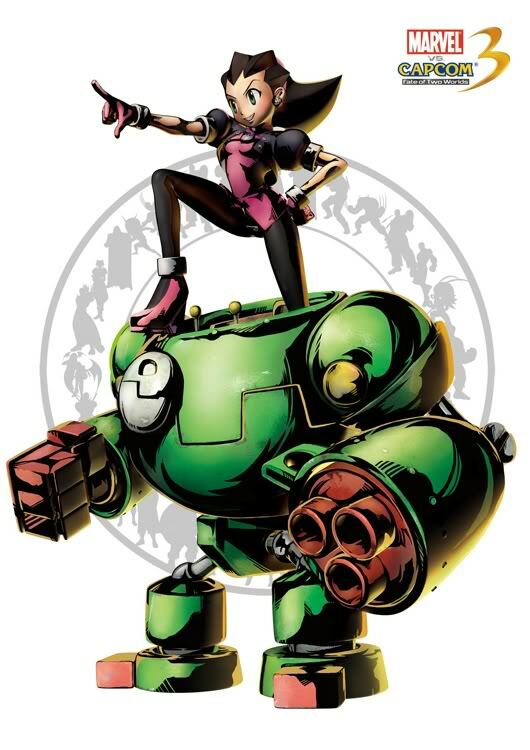 Currently leading the Capcom Unity poll is Suetsugu's design (pictured) while Komaki's is dominating in Japan. You can find more detailed statistics on your favorite heroine at Unity and Andriasang. The heroine contest has generated over 15,000 votes since its inception on the 11th, according to Capcom Japan. That's a combination of votes cast both in the U.S and Japan. Still some room for growth...let's see if we can push it to 20k! 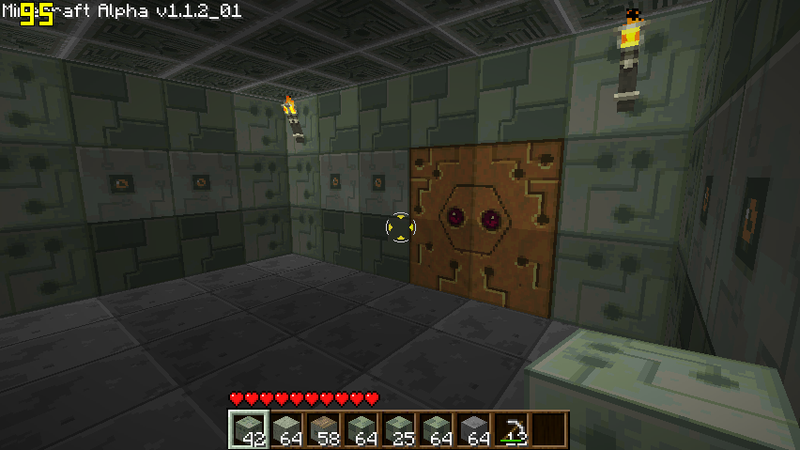 Above, a small sampling of the unearthed beta goodies. On the left, we've got a screen depicting a prototype battle field (and proto battle menu) featuring X in his normal armor (not in final game). The right image not only reveals Command Mission was once simply referred to as "Rockman X RPG", but also displays an entirely unused armor. 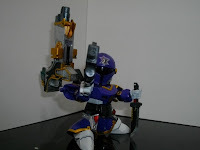 The extra guns and barrels may even suggest sub weapons were considered at one point in development. Why these beta screen shots were hidden within the E3 demo (a demo that represented a near final build, mind you) is beyond me. Regardless, it's all a truly fascinating discovery that offers a nice look into XCM's early days. Again many thanks to Metalman for churning these up and xdaniel of the Unseen64 forums for the additionally imagery. 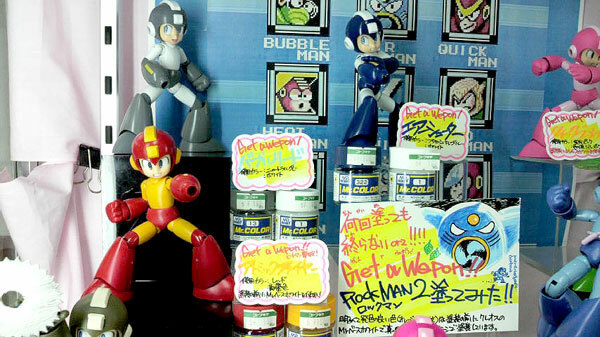 Of course, there is a bit of an ulterior motive to this colorful homage; it's a promotion for a series of acrylic paints that work especially well with Kotobukiya's plamo model kits, such as Rockman here. Pretty spiffy display, wouldn't you say? If I had a spare model on me, I'd like to try whipping one of these up myself! 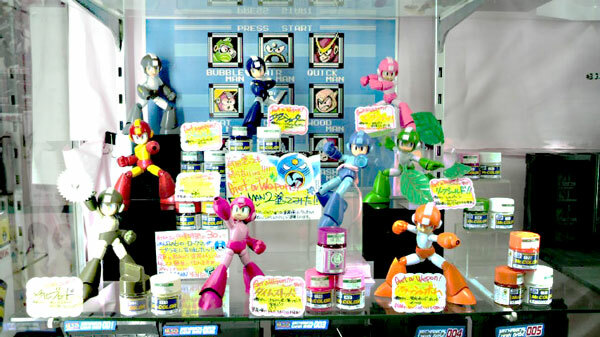 Price guides for the Rockman and Roll Kotobukiyas can be found here and here. 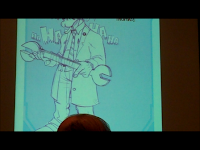 A rather insightful interview with Mega Man Legends 3 producer Tatsuya Kitabayashi has surfaced, filmed at Comic Con last weekend and streamed live over Ustream. I'm very glad Capcom saved these because it brings up a lot of interesting tidbits about the game that really haven't been touched upon before. Capcom is well aware of the demand for the original voice cast to return, namely Rob Smith (Teisel Bonne). They want to involve these voice actors in some way but will be revealing more details about this soon. Kitabayashi couldn't talk about how big of a role the new heroine will have but alluded that she's just as important as Roll and Tron. Why Legends 3 on the Nintendo 3DS and not a home console? Simply put, Capcom thought the title would work well with the system's various elements. That and apparently the 3DS is fairly easy to develop for, according to Kitabayashi. The game will utilize the 3DS touch screen; wouldn't divulge how it would be used. Bear in mind, the touch screen does not support 3D. L3 will retain a lot of familiar gameplay elements from its prequels, but because games have progressed so much in the last ten years, expect to see some advancements. Monster Hunter staff members will be lending a hand in L3's development; as such, don't be surprised to see some MH flare thrown into the gameplay. The character designs have improved since ten years ago, but they're still the same characters you all know and love. Capcom will actually be releasing images of the cast very soon. 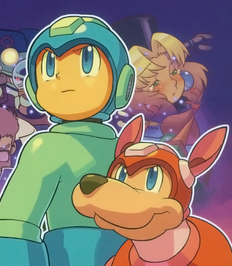 Kitabayashi will look into getting Mega Man Legends 1 and Legends 2 on the North American PlayStation Store. It's unlikely Mega Man 64 will make it to the Virtual Console, however. Pretty interesting stuff, if you ask me. Hopefully, more L3 details to come... the sooner the better! 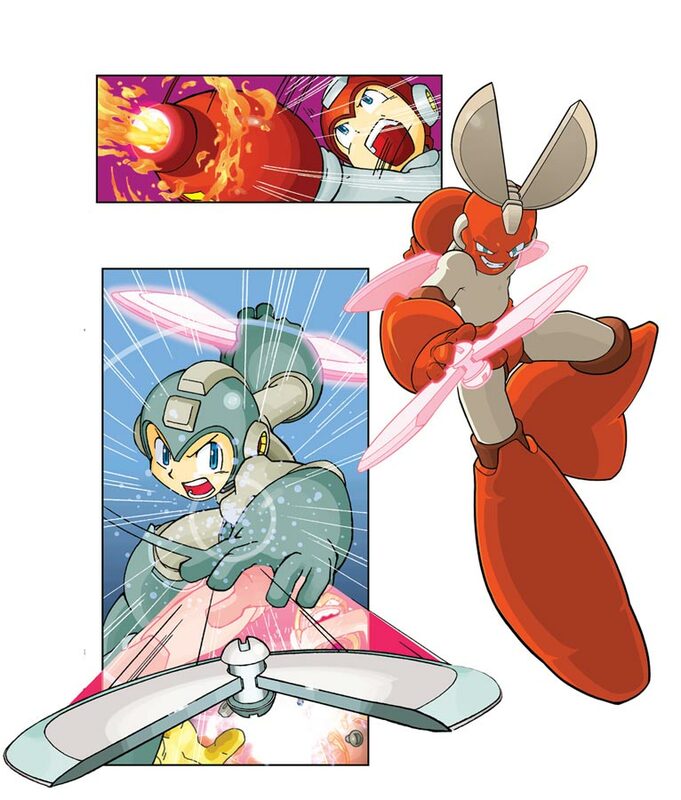 A few new pieces of artwork from Archie's upcoming Mega Man comic have been revealed courtesy of Comic Book Resources and The Sonic Stadium. One piece in particular focuses on more of Spaz's work (middle image), while the rest are from Chad Thomas. UPDATE: TMMN scored some more pieces. Check them out here! Chad's involvement with the comic is a bit sketchy right now. I've seen some sources say he'll be working on it as a penciler along with Spaz, while others say he isn't involved at all. I guess this will be one of those wait and see things. Mega Man 8-bit Deathmatch Released - At long last the much anticipated full version Mega Man: 8-Bit Deathmatch finally hit the web. The complete version supports a multitude of new modes including single player and offers a plethora of new weaponry not available in the demo build. If you haven't done so already, you can download the game from its official website here. New Rockman Online 'Gaia' Details -The official Rockman Online blog updated last week with some new info about 'Gaia', the massive military city that serves as the hub for online players. The details reveal the history behind the base's establishment and its current involvement in recent affairs. Check out 200 Percent Protagonist for all the details. 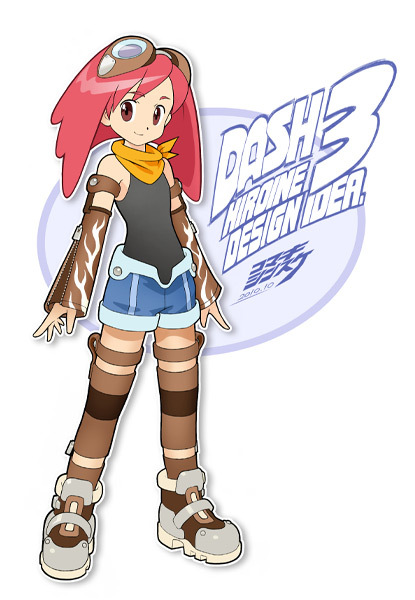 Her Name Is Lilly - The Mega Man Network got to translating some official DASH 3 materials from the game's Japanese development room, which reveal a bit more about the heroine contest's character. This new female protagonist is apparently going by the name of Lilly (tentative), whose personality lies somewhere in between defiant and cute. She's a positive person but is somewhat careless; acts without thinking. 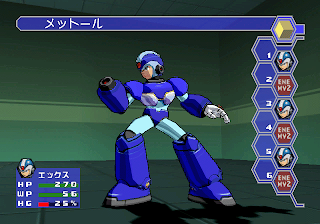 More details available at The Mega Man Network. Scrumptious MMU Cake - Not news, news, but rather cool in its own right. 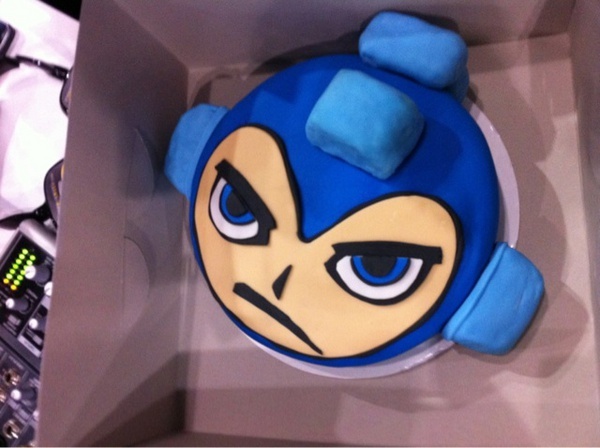 A fan attending Comic Con dropped by Capcom's booth and shared with them this delightful, home cooked Mega Man Universe cake. 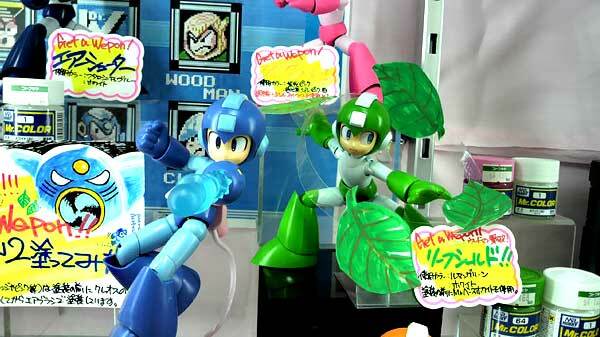 The cake is pictured above, but you can catch a better glimpse over at Capcom's Twitter. 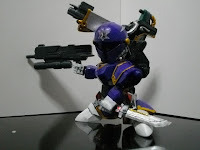 Star Force Official Complete Works Delayed - Surprised? The upcoming art book has been bumped from December to January 2011. Amazon has re-listed the book for January 11, though Udon themselves have yet to announce a specific date. Yeah, we've had our fair share of Mega Man Legends 3 news from NYCC, but I think it's time we paid some attention to Mega Man Universe...you know, the other game at the show. 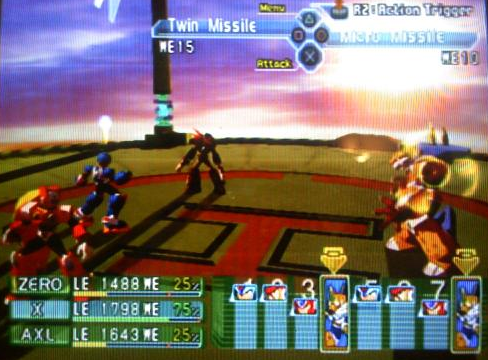 Mega Man X and Zero are possible playable characters. 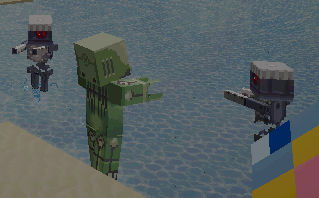 All characters in the game consist of four body parts, so it would be very easy to implement the two. 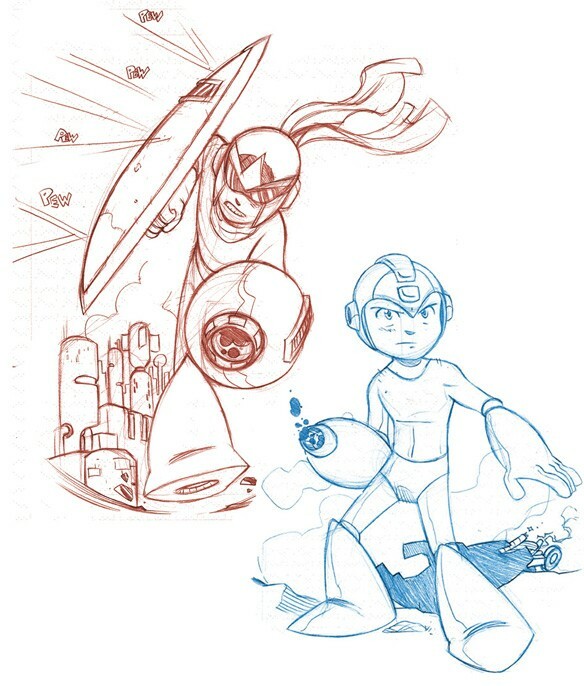 Despite the potential for X and Zero, there are no plans to support other Mega Man series gameplay aspects such as wall kicking, dashing or hovering. 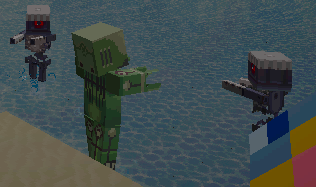 Rush type items may be in the game; the exception to the no hovering rule. Ryu and Arthur (Ghost n' Ghouls) are reconfirmed as being playable, each with their own unique weaponry (Arthur’s lance, Ryu’s hadouken). You can make your own bosses using a variety of body parts. Capcom will be establishing some sort of algorithm in order to ensure customized stages are both playable and beatable. Overheard by the author of the post, MMU may support the ability to put custom graphics into the game. The demo featured banners with the Comic-Con logo embedded into stage backgrounds. 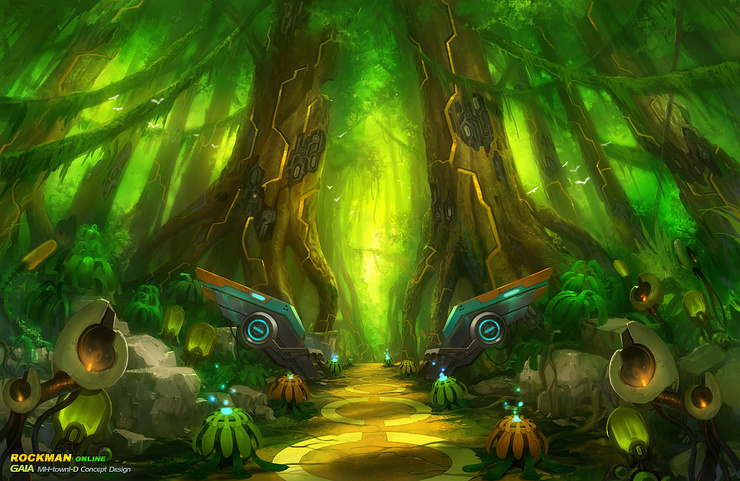 Players will be able to vote on their favorite user created stages and bosses via a community interface. The best ones will be featured. Capcom is striving to create a "Mega Man game that never gets old." This will be made possible by the imaginations of its players. For all the details, read up on 30Ninjas MMU impressions. Thanks for the tip, Alastor. 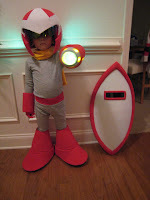 "We need the help of everyone to make the rocket to go save Mega Man! ", uttered Keiji Inafune to a crowd of passionate Legends fans at Comic Con on Sunday, while blueprints for the ship were displayed before the audience. 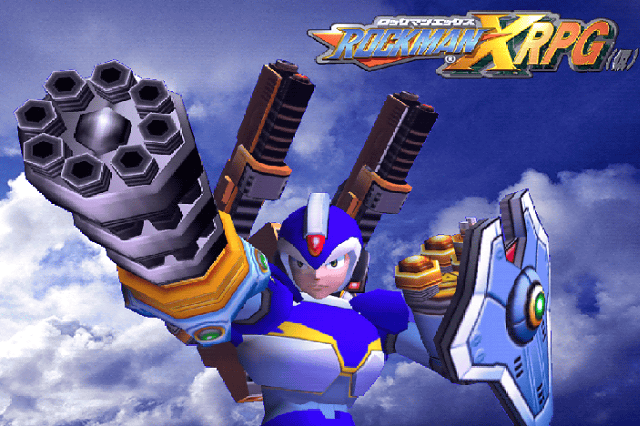 His words are not only synonymous with Legends 2's cliffhanger ending -- wherein Mega Man Volnutt is left stranded on the surface of Elysium -- but also resonate as a profound message to the fanbase; a call to duty to make Legends 3 the very best it can be, with the rocket standing as a symbol of unity -- the eventual culmination of ideas pooled together from fans around the world to form L3. Help is on the way, blue boy! 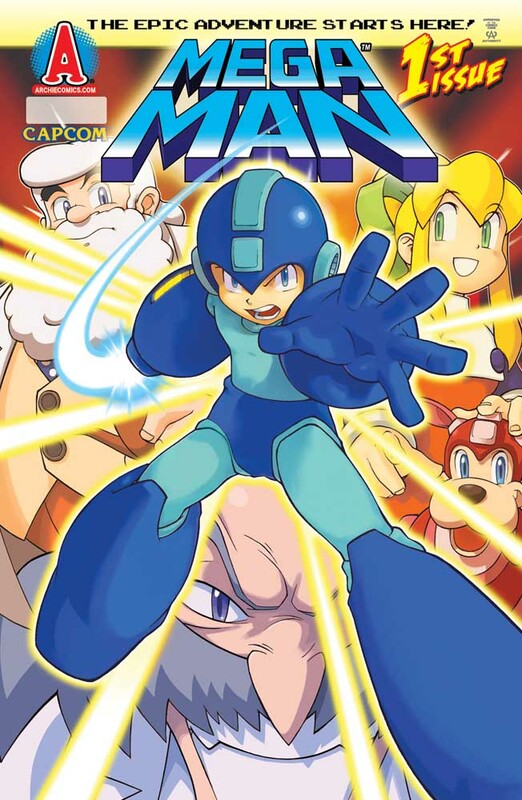 Shortly after the release of Mega Man 9, as die hard fans began to discover a batch of secrets and easter-eggs, Capcom's Seth Killian began to tease fans with a hidden nugget in the game -- a secret that remains undiscovered till this day. 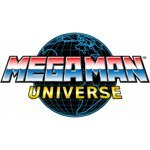 "While demoing the upcoming downloadable title "Mega Man Universe" Joveth confirmed that he knows what the "Mega Man 9" secret that has spawned numerous threads all over the internet (including an 88 page discussion via the Ask Capcom forum) is, and that it is, in fact, still at large. He also coyly added "there's a reason that people haven't found it yet." Apparently, Seth bestowing the knowledge upon him was part of his initiation as Community Manager, where he joined the ranks of, by his best guess, two other people who probably know what is still hidden. " "When I asked if anything was hidden in "Mega Man 10" a look of concern overtook Joveth's face, and he attempted to brush off the question. 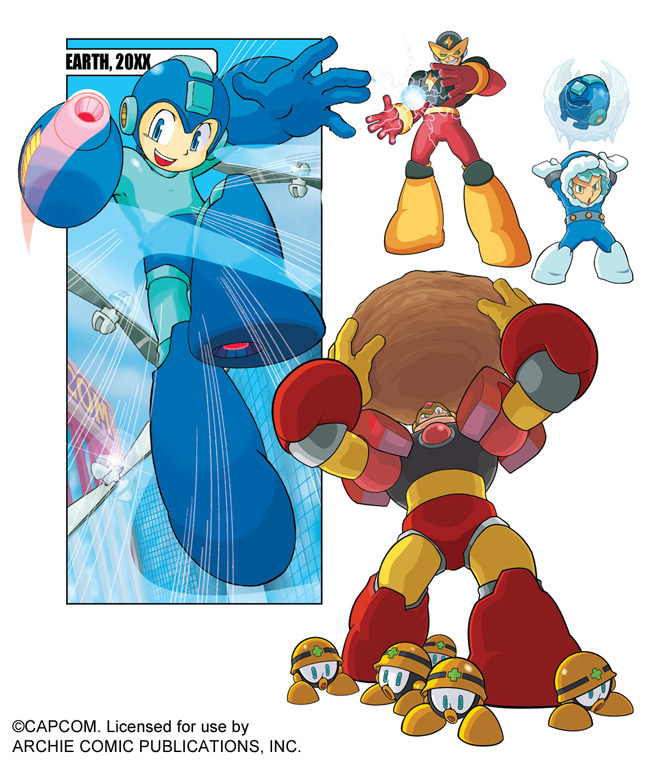 However, it very quickly became apparent that whatever is still hidden in "Mega Man 9" has a counterpart in "Mega Man 10." 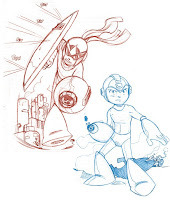 In fact, as I pressed the issue, Joveth actually confirmed that there is something hidden in "MM10" and that the two secrets are, in fact, related to one another." And thus the hunt continues, possibly with a reignited sense of duty. Keep at it, friends. And go bother Joveth. 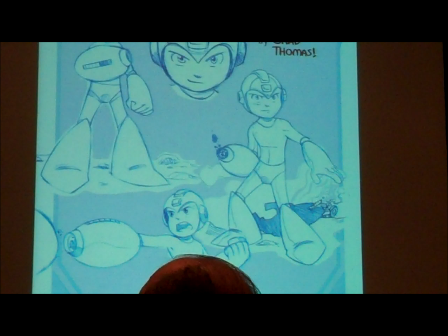 A brief clip of Mega Man Legends 3 was shown earlier at Comic Con today. No gameplay, rather, a behind-the-scenes tease with footage consisting of work-in-progress graphics of a Servbot model, an enormous city, and a rather large Reaverbot. Check it out below! Inafune noted the game isn't far along in development to showcase actual footage, so we'll have to make do with this for now. 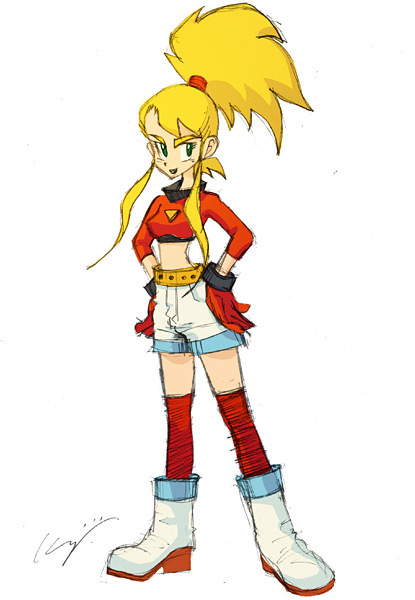 Hot on the heels of the opening of the Legends 3 development room comes the community's very first assignment: design the next MML heroine. 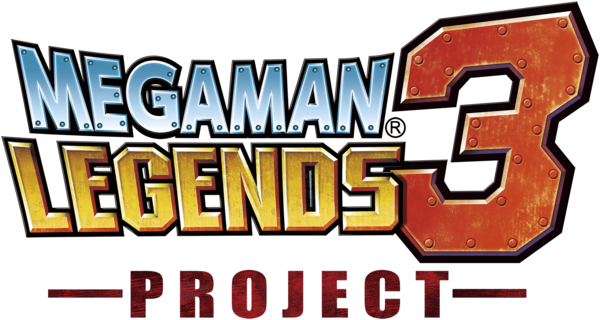 "With over 10 years of fan requests, Capcom is pulling out all the stops to ensure that Legends 3 will be beyond awesome. 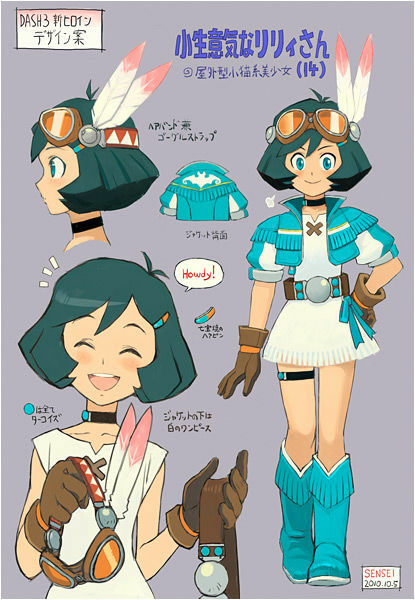 Designers famous to the franchise have submitted concepts for the design of the next heroine character to be featured in the game. 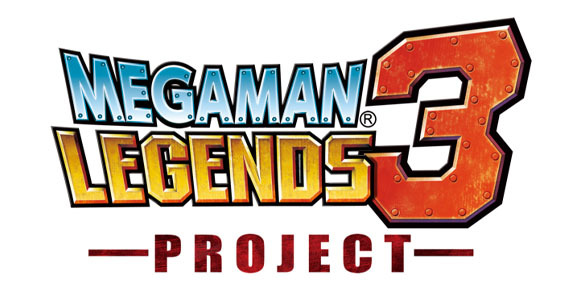 Any Mega Man game would be lucky to have even one of these big names contributing to the project, but Legends 3 gets an unprecedented NINE, including the father of Mega Man, Keiji Infaune himself. Please visit www.capcom-unity.com/devroom to view all the different designs, and vote for your favorite. As you can see, the nine different heroine designs take nine very different approaches, and the design you pick could have effects on her personality and other parts of the game. Needless to say, this is a major element of the game, so feel free to discuss the pros and cons of each option in the forum* before making your final selection." Again, you can find all nine ladies right here. Voting begins today and ends on October 25. 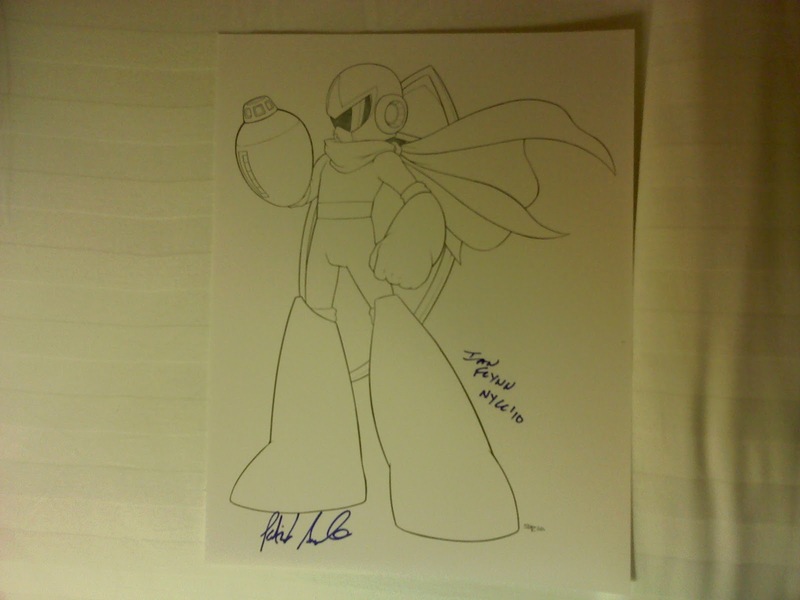 "As you may know, the Mega Man Legends 3 Project is the first ever game to be co-developed by the fans, and to help facilitate that, we created the Developer Room. 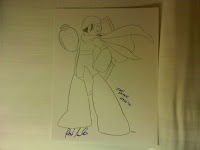 This will be your resource to help provide input on the design of Mega Man Legends 3. There will be two sites, one that supports Japanese and one that supports English. To show we are serious about involving fans from all over the world in the game’s design, we need one of YOU, a Mega Man fan, to help manage the site. 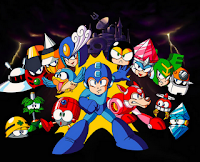 As such, we are excited to announce a new temporary position in our San Mateo, California campus: The Mega Man Developer Room Community Liaison! - Manage the relationship and translation between the Japanese and English versions of the Developer Room. - Be an avid Mega Man fan. - Have written and verbal fluency in Japanese and English. If you think you are qualified, please send your resume and cover letter to resume@capcom.com. Although I personally am not at Comic Con, I'll be closely observing today's Capcom panel from the sidelines with the help of numerous PRC readers who'll be forwarding me updates as they come in. Mega Man Legends 3 info is anticipated to pop up during the event and maybe some MMU info, too. 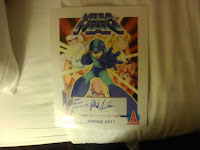 I will be updating this post with any and all Mega Man related info as it happens. Check back often! 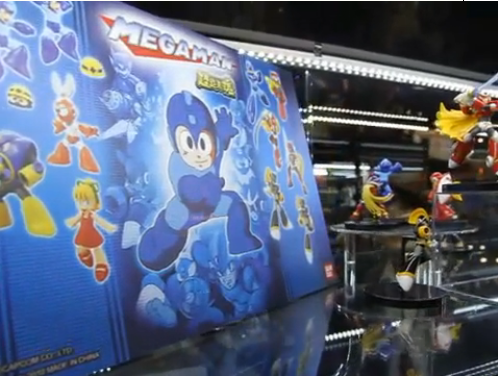 Above, a display exhibiting the figures at Bandai's Comic Con booth, with a poster advertising the line under the "Mega Man" name. Considering the figures have been largely available in Japan since May, I see no other reason to have them on public display unless they intend to distribute them in the U.S sometime in the near future. Hey, it wouldn't be the first instance a recent Rockman product was re-branded for English consumers. 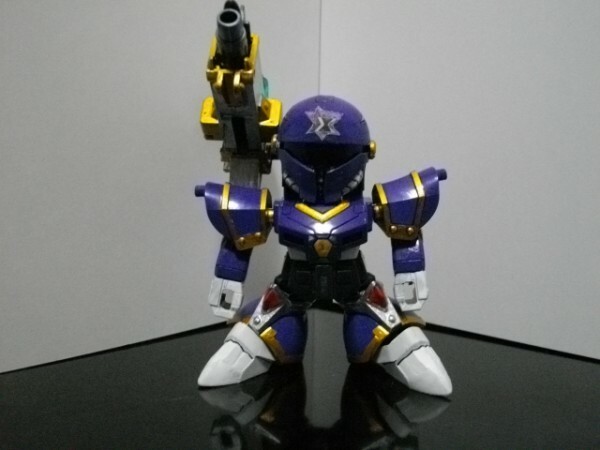 In related Bandai/Mega Man news, more candidates for the D-Arts line were revealed. 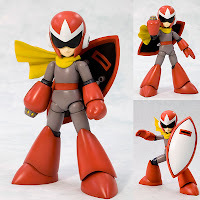 Among the desired Mega Man characters are Zero (X series), Zero series Zero, Mega Man.EXE and Bass. These characters were selected via a poll held by Bandai. Hit up Siliconera for more info. 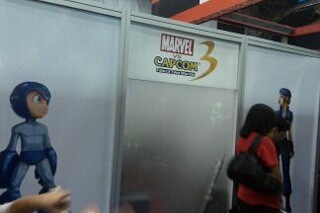 Artwork of several unannounced MvC3 characters, including classic Mega Man, were spotted sometime yesterday at Comic Con. The images originated at Eventhubs.com but were pulled from the site shortly. So... yeah, that pretty says a lot. It's speculated these characters will be officially confirmed by Capcom in an event tomorrow but we've gotten no official word if this is the case. Still, it's something to watch out for. UPDATE: The legitimacy of the photos are now in question. Many readers have pointed out the artwork featured in the photos belongs to the Udon art from the recent Marvel vs. Capcom 2 re-release. The comics are said to focus on the classic series, with the story being penned by Sonic the Hedgehog veteran Ian Flynn. "Spaz" is confirmed to be illustrating at least issue 1 though it's unknown if he'll be doing subsequent issues. Issue 1 is set to hit comic book stands in Spring 2011 with new issues being released on a monthly basis. Thanks to being published under the Archie label, it's anticipated the comics will be sold in a wide range of markets and not just comic book stores. This means you'll have an easier time hunting down an issue. No word on subscription services but I suspect we'll be hearing something closer to #1's release. For more info and artwork, check out the post below or click here! Well, here's a little surprise that came out nowhere. 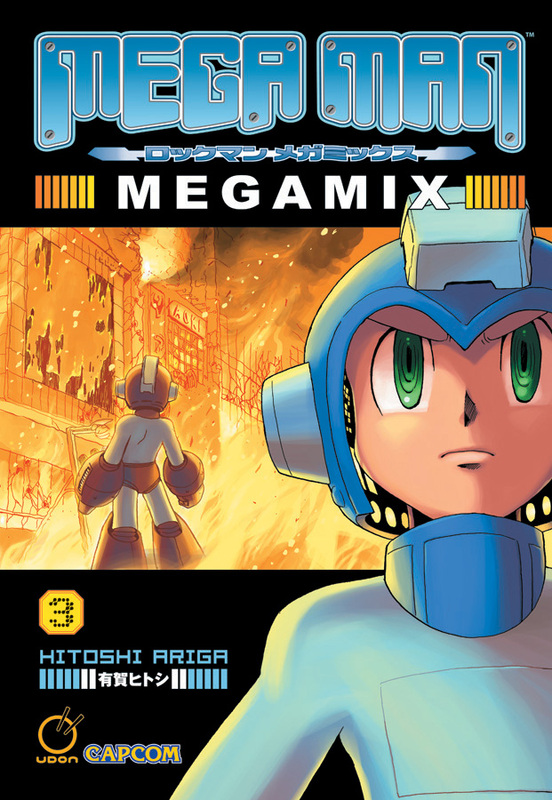 During the "Archie Comics Means Business" panel at NYC Comic Con today, Archie Comics announced the production of a new Mega Man comic book -- the first since Dream Wave's ill-fated 2003 four issue series. No word if it will be a single issue or the beginning of a series, but this is exciting news nonetheless. Comic Con is just getting started so hopefully we'll learn a bit more about the project in the coming days. I'll keep an ear out! "With the aid of his mighty Mega Buster blaster arm and a killer creative team including renowned artist Patrick “Spaz” Spaziante and infamous Archie action/adventure writer Ian Flynn, Mega Man is equipped to blast his way back into the comic book world in his own monthly action. Arriving Spring 2011, the new Mega Man™ comic from Archie Comics promises to build a faithful legacy while exploring a vast universe of heroes, villains, and robots." 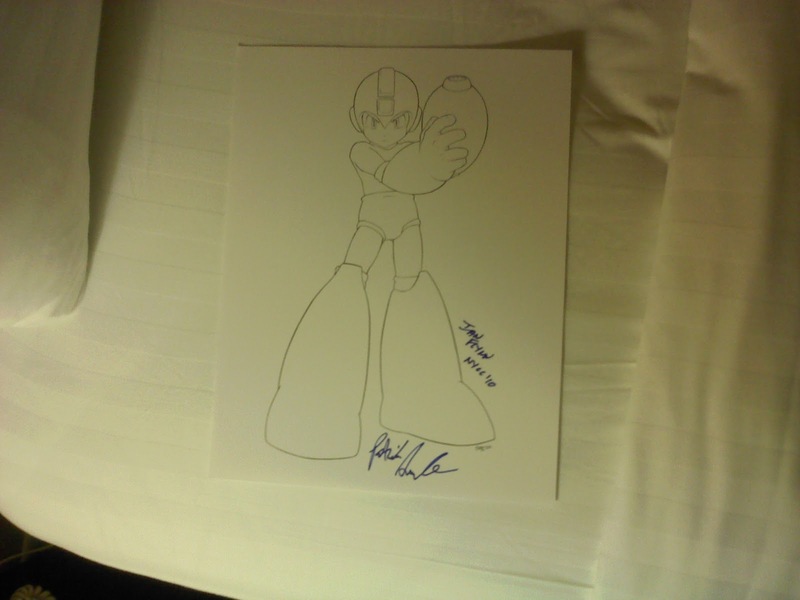 "In honor of the announcement at NYCC, Archie Comics and Capcom® will each be hosting signings of an exclusive print with the Mega Man creative team Patrick “Spaz” Spaziante and Ian Flynn." Attending Comic Con? Hop on over to Archie's booth and get those prints!